A reminder: It’s spring break. Because of staffing for the blog, your comments may take a bit longer to get posted. But don’t despair — they will get there. It’s spring break for the UW-Madison and Madison public schools. So not a lot is on the slate. But the one big event that is gets a MUST-HEAR rating. Tickets are $25 for adults, $15 for students. The cast of soloists, representing the very best singers in the region, will include: UW tenor James Doing (below) as the Evangelist (one of his specialty roles) and UW baritone Paul Rowe as Jesus. 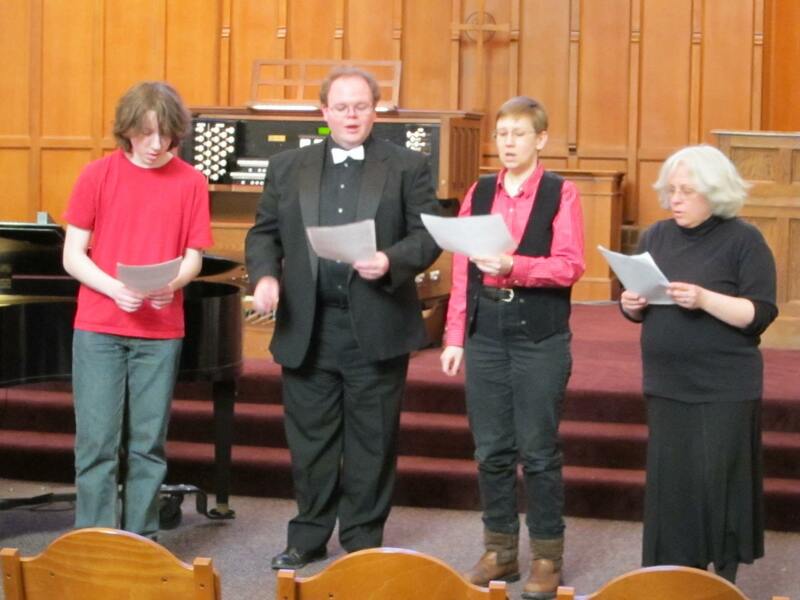 Other performers include William Rosholt as Pilate; Julie Hutchinson Soprano; Julie Cross Mezzo Soprano; Ryan McEldowney Tenor; and Brian Leeper Bass. The concert will mark Wisconsin’s first performance of the St. John Passion using Bach’s original instrumentation, according to the Gehrenbeck (below), who is also the director of choral activities at the UW-Whitewater. 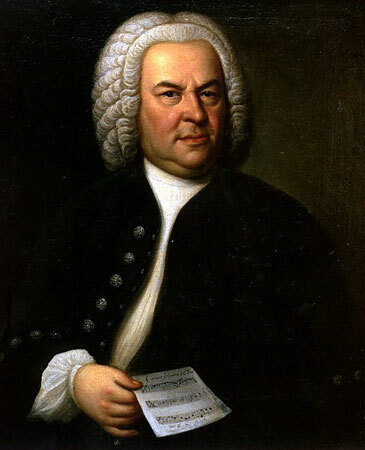 According to notes from the WCC, Bach (below) employed an astonishing variety of tone colors in this work, including rare eighteenth-century instruments such as the wooden flauto traverso, three different types of oboes (the Baroque oboe, oboe d’amore and oboe da’caccia), and the viola da gamba (the ancestor of the modern cello). Wisconsin’s finest period instrumentalists, along with guests from throughout the upper Midwest, will join forces with the Wisconsin Chamber Choir. Director Gehrenbeck adds: “The “St. John Passion” is one of Bach’s most moving and exciting works. This particular oratorio is the closest Bach came to writing an opera, owing to its dramatic portrayal of the story of Jesus’ arrest, trial, and crucifixion as relayed in the Gospel of John. Perhaps taking its cue from the opera world, the WCC will sing the “St. John Passion” using the original German words, with an English translation projected as supertitles above the performers in order to make Bach’s music and its message accessible to a wide audience. The Ear likes that idea a lot. The whole point of the music and text, after all, is to communicate. If you go, what did you think? 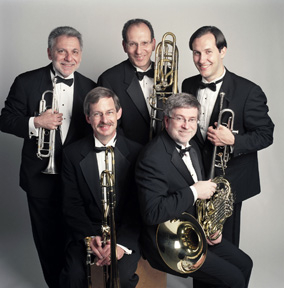 Also on the schedule, after the end of the UW spring break is a concert by guest visiting artists The American Brass Quintet (below). The FREE concert is on Tuesday, April 6, in Mills Hall, at 7:30 p.m. The program includes three Canzoni by late 16th-early 17th century composers, arranged by ABQ member Raymond Mase; the Fantasia e Rondo by Brazilian composer Osvaldo Lacerda; the Brass Quintet by Shafer Mahoney; “Entrance” by David Sampson; “Five Pieces” by Ludwig Maurer (1789-1878); and “Copperwave” by Joan Tower. Celebrating its 50th year this season, the ABQ is internationally recognized as one of the premiere chamber music ensembles of our time. The quintet’s rich history includes tours of Europe, Central and South America, the Middle East, Asia, Australia and all 50 states; a discography of more than 50 recordings; and the premieres of more than 100 contemporary brass works. The ABQ has been in residence at the Juilliard School since 1987 and at Aspen Music Festival since 1970. 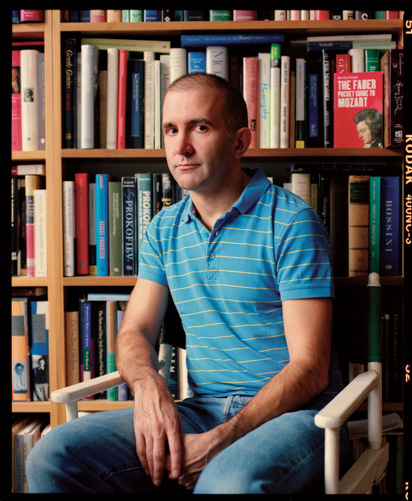 Alex Ross (below), who writes about classical music for The New Yorker Magazine, is probably the most prestigious critic in the US right now. 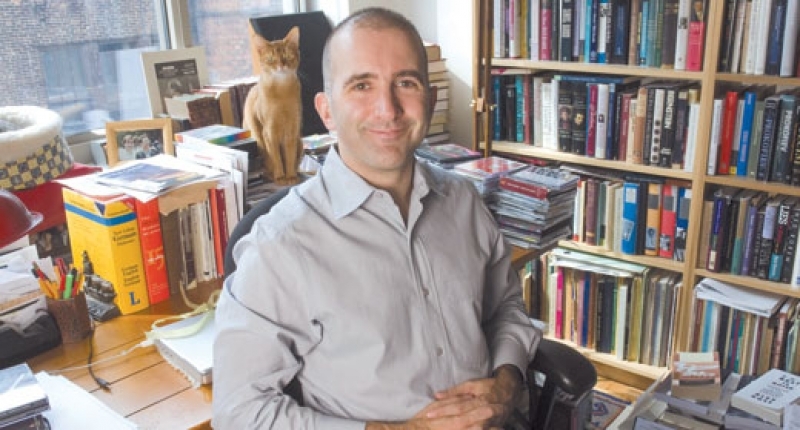 He won a National Book Award and was nominated for a Pulitzer Prize for his recent book, “The Rest Is Noise,” which focused on modern and contemporary music, And that was also the name of his popular blog that was linked to even even at Amazon.com. But now he has phased out that blog in favor of one that he is doing under the aegis of The New Yorker. It is called “Unquiet Thoughts” — a great word-play title, don’t you think? It will be released in September 2010. And recently Ross (below) gave a speech about when to clap and other matters of concert etiquette — always a touchy subject — in London. Do you read Alex Ross? What do you think of his criticism and writings? What do you think about what he said regarding concert hall etiquette? 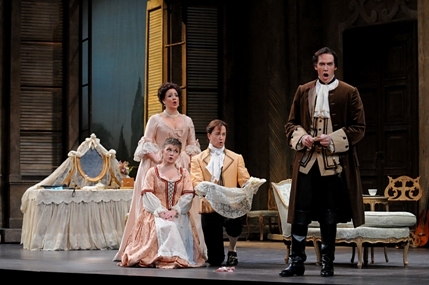 The Madison Opera has announced its 50th anniversary season, featuring Mozart’s “The Marriage of Figaro” (below) in Overture Hall; the company premiere of Kurt Weill’s “The Threepenny Opera” in The Playhouse; and Verdi’s “La Traviata” in Overture Hall. In July 2011, Madison Opera also celebrates the 10th anniversary of Opera in the Park, a Madison summer tradition. 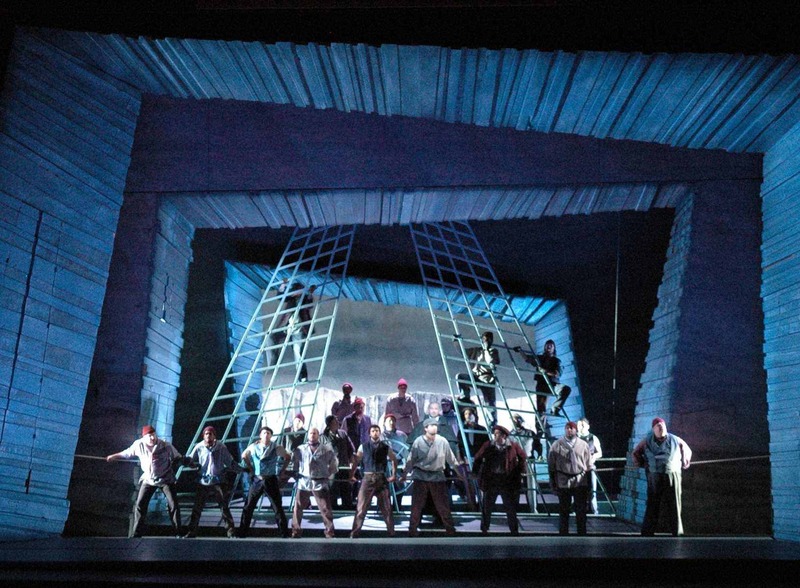 For the fourth consecutive season, Madison Opera presents three full productions, with an increase in performances from eight (2009-10) to 10 (2010-11). That increase in the total number of shows can be taken as a sign of the company’s financial health, according to company officials. 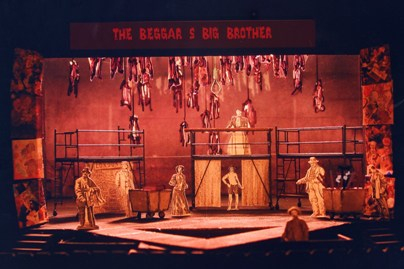 The Opera will also be performing in The Playhouse for the second season, following the recent artistic and box-office success of “The Turn of the Screw,” the company’s first endeavor in the venue. Casting highlights for the 2010-11 season include bass Jason Hardy as Figaro and soprano Anya Matanovic as Susanna in “The Marriage of Figaro”; the Madison Opera debuts of American Players Theatre favorites James DeVita (below top in a Zane Williams photo) and Tracy Michelle Arnold in “The Threepenny Opera” (below middle; and the American debut of Italian tenor Giuseppe Varano as Alfredo in “La Traviata” (below bottom). 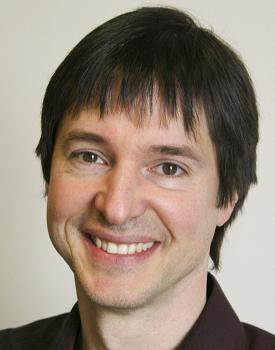 Maestro John DeMain (below, in a photo by Katrin Talbot), of the Madison Symphony Orchestra, will conduct all three productions, with leading opera directors A. Scott Parry, Dorothy Danner and Garnett Bruce providing stage direction. Subscriptions for the 2010-11 season are now available, starting at $32 for the Overture Hall Series. New subscribers receive an additional 15% off. Single tickets, $16-$114, go on sale Sept. 11. Seats for the front of the upper balcony have reduced. On Monday, April 12, Madison Opera launches a re-designed website featuring online subscriptions. Call (608) 238-8085 or visit http://madisonopera.org for more subscription information. What do you think of the new season? What do you think of the Madison Opera in general? 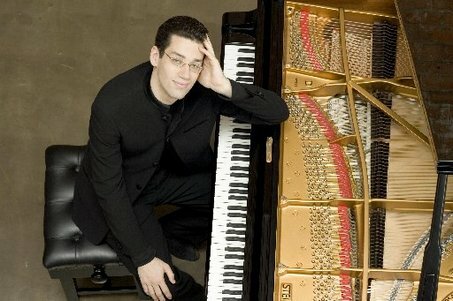 I don’t expect or even hope to hear a better played Mozart piano concerto in live performance than the one I heard last Sunday afternoon with the American pianist Jonathan Biss and the Madison Symphony Orchestra under guest conductor Patrick Strub, of Stuttgart. Of course, I may hear one as good or even better. But I don’t expect it and I don’t dare even hope for it. It was that good, and I am that satisfied. Many of the usual elements that make for great music-making were present: great balance and tight playing. But what really carried the day for me was the combination of skills Biss brought; a thoughtfulness about the music (all the more remarkable because Biss is, after all, only 29); and an uncanny ability to play softly but with dept and rhythmic flexibility. 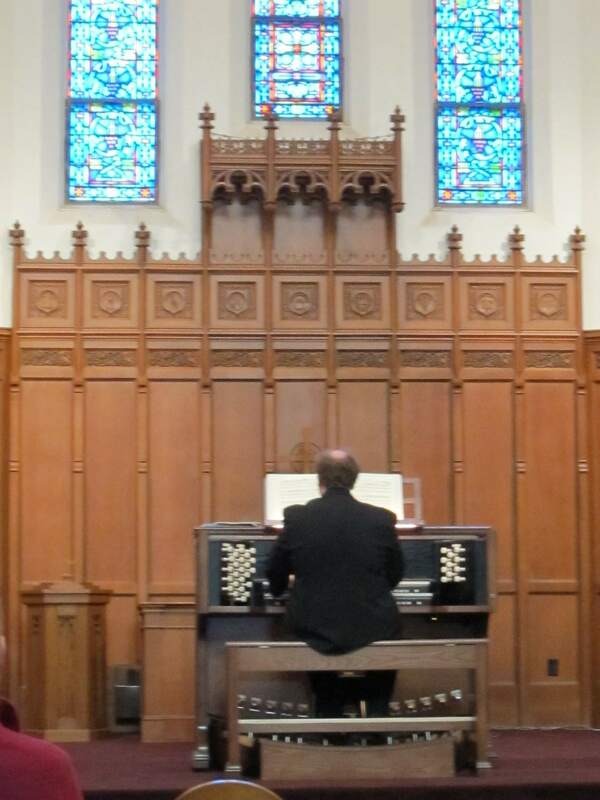 He plays a phrase as you will rarely hear, which is why the slow movement was especially exquisite and deeply moving. Some pianists conquer with loud. 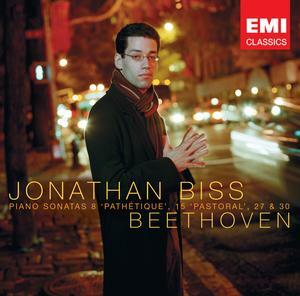 And Biss can play fast and loud, clear and impassioned, with the best of them, as his recording of Beethoven’s “Appassionata” Sonata vividly shows. But Biss conquers with quiet. Every note he plays seems to come from somewhere and lead to somewhere, creating a sense of necessity, of logic, even of inevitability. There was no music-box Mozart to be heard here, but instead a composer who changed the course of history and was a master above most masters. One can only hope EMI allows him to record this concerto – No. 9, K. 271, in E-flat major, the “Jeunehomme” – with the bigger and more mature C major concerto K. 503, that he was originally scheduled to play. That would be something. It would also be great to hear an album of solo Mozart sonatas and rondos, which, in Biss’ hands, might finally sound as deep as they can be. This concert was also no fluke. I have spent the week listening again to Biss’ recordings of Beethoven and Schubert sonatas and of big Schumann pieces. And they confirm what I heard on Sunday: Biss is a major talent with no end of achievement in sight. In his playing and choice of repertoire, Biss strikes me as a pianist who upholds the legacy of Rudolf Serkin – first a musician, then a pianist. Of course Strub (below), who did so beautifully last season when he conducted the UW Symphony Orchestra, was also terrific. I thought so and the orchestra players seemed to think so too, judging by their reactions. He was tight and focused, emphasizing structure and taut precision. 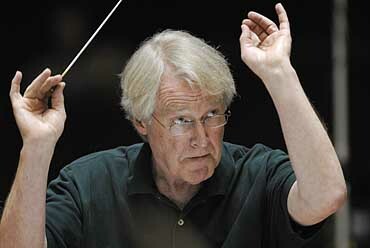 You heard that in his reading of von Weber’s Overture to “Oberon,” a finely done curtain-raiser. It was beautiful Brahms, and the audience liked it a lot. But it was, at least to my ears anyways, misplaced Brahms. After the first half, so quiet and poetic, what was really needed was a change of pace or texture, something different and bigger and more dramatic. How I would have loved to hear Strub deliver either the First or Fourth Symphony of Brahms. That would have really wrapped things up. And Strub can do big Brahms – as he showed so convincingly last year with UW violinist Felicia Moye in the Brahms Violin Concerto. First, get Biss back here as soon as possible for a solo recital (the Wisconsin Union Theater comes to mind, where he could also do another Mozart concerto with the UW Symphony Orchestra and maybe a master class too). Second, bring him and Strub back again – separately or together but preferably together — as soon as possible to do, say, a Beethoven concerto with the MSO. I suspect revelation awaits. They proved a great combination and one I want to hear live again soon. 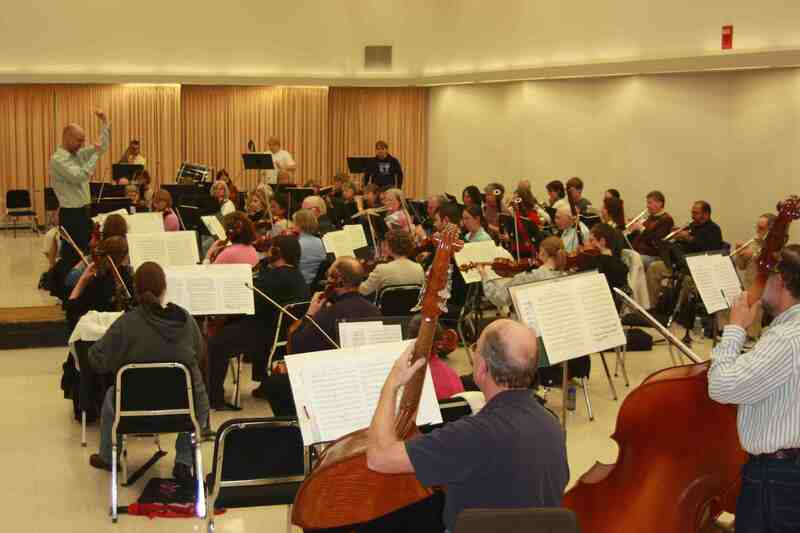 On Sunday, March 28, at 3 p.m. in the Mitby Theater of Madison Area Technical College-Truax, 3550 Anderson St., the Madison Community Orchestra (below) – an ensemble of devoted amateurs — will perform a FREE one-hour concert under the baton of it director Blake Walter of Edgewood College. Tchaikovsky’s “Marche Slav”; Saint-Saens’ “Bacchanale” from his opera “Samson and Delilah”; and Dvorak’s Slavonic Dance, Op 46, No. 8. Patrons can be dropped off next to the Mitby Theater entrance on Wright Street. State disabled parking is available at the Mitby entrance, and ample free parking is available across Wright Street from the theater. The Mitby Theater has accommodations for up to 10 patrons who wish to remain in their wheelchairs during the performance. Additional seating is accessible by wheelchair for patrons who prefer to transfer from a wheelchair to a theater seat. Please note that the Mitby Theater is not able to provide wheelchairs. If a member of your party prefers to remain in a wheelchair during the performance, please mention this when you make your reservation. If you go to the concert, let us know what you thought. How did the amateurs do? Classical music review: We Bached Around the Clock last Saturday. Let’s do it again next year. A week ago Saturday, in the Pres House chapel at 731 State Street, young and old and in-between Bached Around the Clock. They did it – I should say “we did it” since I also played some Bach — from noon until midnight, all to celebrate the 325th birthday of Johann Sebastian Bach last Sunday. From what I could see and hear, the community response to this inaugural event from both performers and listeners was very positive. For 12 hours, people wandered in and out of the casual and relaxed atmosphere. The audience ranged from about a dozen listeners – probably even less as the night wore on – to several dozen in the mid-afternoon. Moreover, the audience was quiet and attentive and supportive, generous with its applause, praise and encouragement. Professional and amateur musicians alike performed, many of the piano but quite a few in other ways including singing, playing the flute, performing in the organ, blowing on a saxophone. Individuals showed up to play. Groups showed up to perform. Teachers brought their whole studios of students. There were small children and adults. There were easy pieces and very difficult played, familiar works and works rarely heard. If you were there, you heard suites, sonatas and songs; preludes and fugues; inventions and toccatas; and so many other different forms of Baroque music. Funny, you know intellectually how prolific Bach (1685-1750) was. But when you hear it – actually hear it performed live for a lot of hours – you really begin to admire not only the quality but the quality of that quantity. And you also see how much Bach sounds like Bach in everything he did. Bach really is the Big Bang of Western classical music. I didn’t stay for most of the event, so I’m sure I would have heard even more. 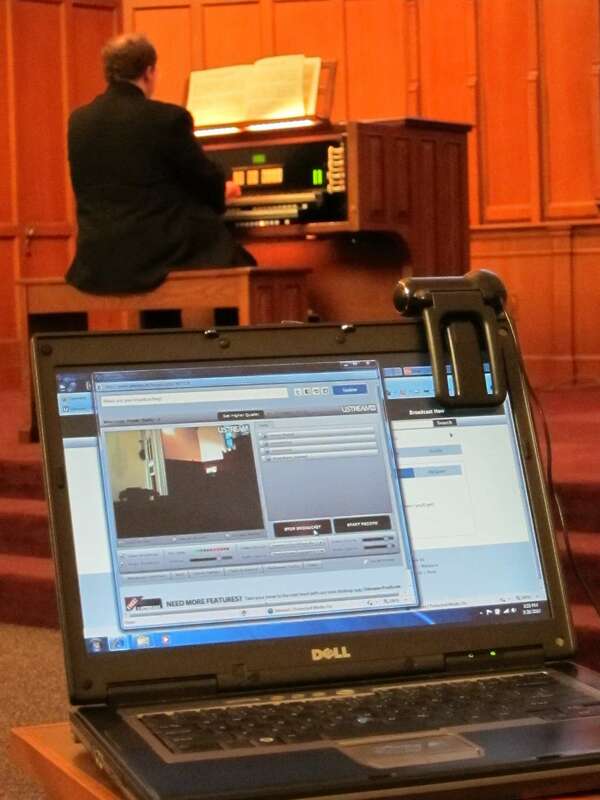 I did try to use the live statewide web cast (below), which I know many others statewide used successfully. But it had closed down by 10 p.m. due to technical problems. I’m sure that can be fixed in the future. However, the cookies and refreshments worked just fine, replenishing many. But even from the few hours I was there some things stood out. Organist Alex Ford, spiffy in his white bow tie, not only sang in the quartet but also played chorale preludes and the famous Toccata and Fugue in D minor. Piano teacher Denise Taylor (below to) did a fine job with a very difficult English Suite No. 2 in A minor. 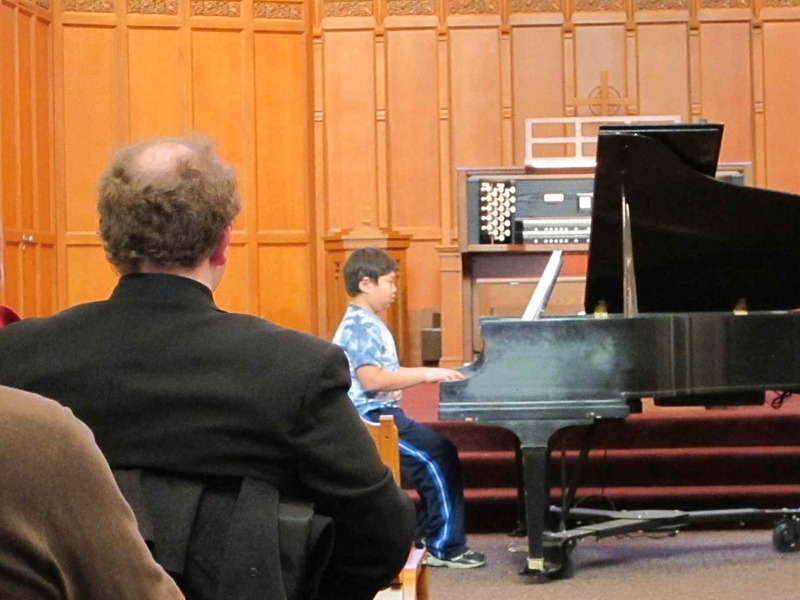 She also had some of her students – they went first — including Michael Xie (below middle) and Caleb Zimmick (below bottom) perform “Little Preludes.” Which don’t seem so little when you are playing them in front of other people. I like that solidarity of teacher and student. Probably my favorite moment was provided by Marc Mayes (below). 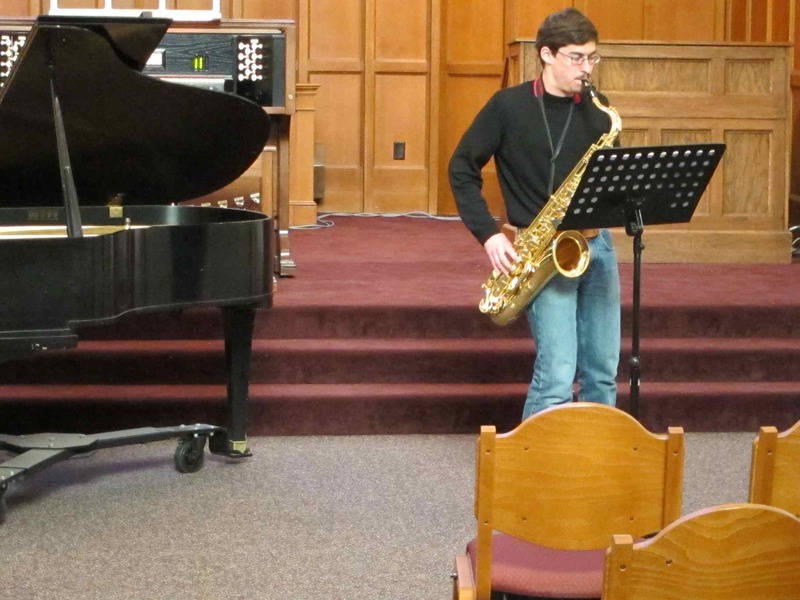 The way around that problem, he explained, was to transpose the suite to a tenor saxophone, which he does play – very well. And then he launched into several movements from Bach’s popular Cello Suite No. 1 in G Major. The performance was outstanding. It demonstrated, in short, the kind of ingenuity and musical taste that old Johann Sebastian himself would have appreciated. How many of us can aspire to have our life work still have meaning to others almost 260 years after we die? Sure, there were minor glitches, like some time gaps and the live webcast (below). But overall, it came off as a big success. Thanks go to all, but especially to WPR, Cheryl Dring and the Pres House for starting what could become a great community event. I don’t know the numbers from this year or what the organizers are planning – if they are planning and not just recovering. But I say: Let’s do it again next year. And maybe even extend it to other composers and other birthdays or anniversaries? Classical music controversy: Is J.S. Bach’s “St. 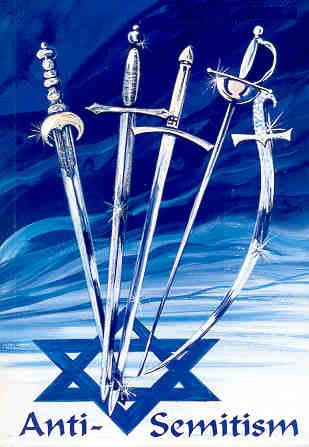 John Passion” anti-Semitic? Part 2 of a 2-part look. Is J.S. Bach’s oratorio “The St. John Passion” anti-Semitic? That topic so relevant during the season of Easter and Passover will be discussed TONIGHT night at 8 p.m. at a FREE PUBLIC forum at the First Unitarian Society, 900 University Bay Drive. The forum is being held in conjunction with an April 2 Good Friday performance (at 8 p.m. in the First Unitarian Society) of the famous Bach work. Performers include distinguished soloists, the Wisconsin Chamber Choir and period instrumentalists under the direction of Robert Gehrenbeck. Panelists include UW-Madison musicologist Jeanne Swack; Rabbi Johathan Biatch of Temple Beth-El; Gehrenbeck of the Wisconsin Chamber Choir; and The Reverend Franklin Wilson of Luther Memorial Church. The discussion will be moderated by Michael Schuler, Parish Minister of First Unitarian Society. I recently asked Gehrenbeck to discuss the subject of Bach’s anti-Semitism. He did so in an e-mail interview that I have posted in two parts, today and Tuesday, the day before yesterday. (Wednesday was, as is customary, Best Bets day). How does the oratorio express or convey its anti-Semitism through the music and the text? 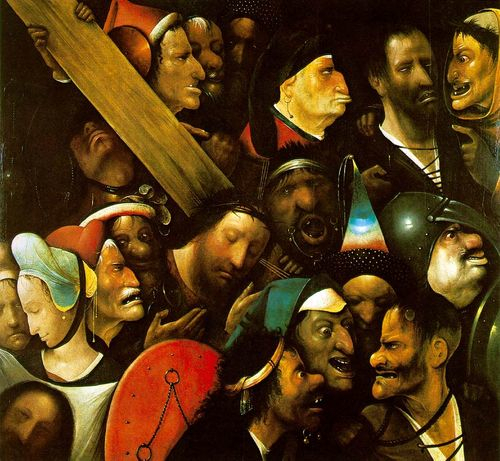 Within the St. John Passion, the turba choruses—the crowd scenes in which “the Jews” clamor for Jesus’ death—stand out as the most troublesome manifestations of an anti-Jewish outlook. Taking his cues from John’s narrative, Bach composed music of great intensity and vehemence. The obsessive text repetitions, the deflections of the harmony towards minor and diminished chords, and the overall level of dissonance in these choruses create a profoundly disturbing effect, regardless of one’s religious background or outlook. Those crowd scenes are also interrupted by chorales and arias that re-interpret these passages in light of the Lutheran theology of repentance and reconciliation. Yet Bach’s extremely forceful turba choruses remain disturbing, nevertheless. Bach no doubt intended this music to jar its hearers. It’s difficult to ascertain exactly what was Bach’s inner motivation in composing these segments of the work. Perhaps, like many of his contemporaries, Bach harbored genuine hostility towards Jews (or at least the idea of Jews, because he probably didn’t know any actual Jews). But, to me, this view seems overly simplistic. One thing we know for certain is that Bach’s theological views—like his music—were highly nuanced and multi-faceted. Why is it important to examine anti-Semitism in a work that is 300 years old? If Bach’s music is still relevant enough to enjoy widespread popularity today, then the ideas that informed his music are likewise relevant, even if some of those ideas are disturbing to Bach’s modern performers and listeners. 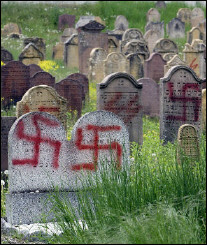 Does anti-Semitism detract from the beauty of the work? From its relevance or meaning to today? From a purely musical standpoint, Bach’s music is obviously complex, and it includes a great deal of dissonance. So it should come as no surprise that the ideas that lie behind Bach’s music are also complex and often dissonant in their own right. My hope is that this discussion of Bach and anti-Semitism can lead to a deeper understanding, even deeper appreciation of Bach, as we attempt to unravel the complexities of these issues. How should the presence of anti-Semitism change the performance of the work or the performers’ attitudes towards it? Should the work be edited or cut or somewhat altered? The St. John Passion has been altered in the recent past, most interestingly by the German-American conductor Lukas Foss, who emigrated to the US as a refugee from Nazi Germany. In a performance of Bach’s oratorio that Foss conducted in California, he changed the word “Juden” (“Jews”) to “Leute” (“people”). I decided to let Bach’s original wording stand, but only in conjunction with our educational forum to address this issue. To hold this forum and to change Bach’s wording would seem to whitewash Bach, which is not my intent. But in the absence of an educational component like this one, perhaps alterations like Foss’s would make sense, as both Marissen and Richard Taruskin have argued. 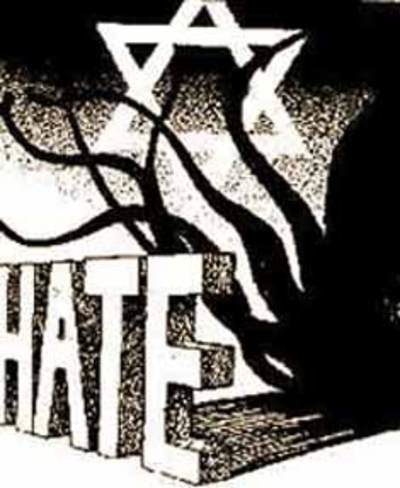 How should listeners cope with the work’s anti-Semitism? They should attend our forum or another event like it, or read Michael Marissen’s book, or all of the above! An audio transcript of a forum similar to ours, with presentations by Marissen and first century Jewish historian Miriam Peskowitz, can be found at http://www.temple.edu/jewishstudies/events.html. What do you hope will emerge from the ecumenical conference about the work’s anti-Semitism? Should it enhance or detract from admiration for Bach’s achievement? It may do some of both—enhance and detract from Bach’s reputation. Since I planned this event in conjunction with our April 2 performance of the St. John Passion itself, I’m hoping that, on the balance, our forum will deepen our understanding of Bach and his music in a positive way. But I’m honestly not sure how it will turn out; I just felt strongly that it needed to be done. Things slow down a lot this week as the University of Wisconsin heads into the Spring Break, which ends April 5. Tonight at 7:30 p.m. in Mills Hall is a MUST-HEAR concert: The UW Symphony Orchestra, under the baton of James Smith (below), will perform Mahler’s massive Symphony No. 6 (“Tragic”) that will be played without intermission and last about 90 minutes. It is an amazing work, considered one of Mahler’s masterpieces, and has a slow movement that carries you to the heights and depths. It is also a test of the musicianship for the UW students because there is nothing easy, technically or interpretatively, about the symphony. If you can make it, go. You won’t be sorry. I know because I heard them rehearsing. On Thursday at 8 p.m. in Mills Hall, Neil Sisauyhoat, percussionist, will perform a UW fauclty recital. The program includes “A Minute of News” by Eugene Novotney; “Ultimatum I” by Nebojša Jovan Živković; “Mariel” by Osvaldo Golijov, with cellist Parry Karp; “Triple Jump” by Kenji Bunch; and “She Who Sleeps With a Small Blanket” by Kevin Volans. Neil Sisauyhoat is a specialist in classical, contemporary and Afro-Cuban percussion. He is currently an adjunct instructor of percussion at UW-Madison, where he teaches percussion fundamentals to music education majors and studio lessons to percussion majors. IS BACH’S “ST. JOHN PASSION’ ANTI-SEMITIC? It is being held in conjunction with an upcoming performance by the Wisconsin Chamber Choir and period instrumentalists of J. S. Bach’s “St. John Passion” on Good Friday, April 2, at 8 p.m. in the Unitarian Society’s new Atrium Auditorium. Tickets for the performance at the door are $25 for adults and $15 for students. In recent years, Bach’s “St. John Passion” has stirred controversy in classical music circles due to its alleged anti-Semitic content. 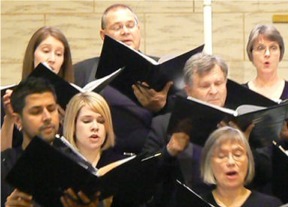 and Robert Gehrenbeck, director of the Wisconsin Chamber Choir (below). According to Gehrenbeck, Bach’s “St. John Passion” has as its basis the story of Jesus’ final days and death as told in the Gospel of John. In addition to this text from the New Testament, Bach added other texts—Lutheran hymns and freely composed poetry—that comment upon the Gospel narrative. Within the past few years, Biblical scholars and musicologists have presented various, often conflicting arguments about the perceived anti-Jewish bias of the original Gospel text, and about Bach’s participation in, or mitigation of, this bias. The conflicts swirling around Bach’s St. John Passion today have their roots in the social and religious background of the oratorio. Bach’s own performances of the work were not without controversy: at least one performance during his lifetime may have been canceled due to opposition by local religious authorities. Jewish, Christian, and secular perspectives on the work’s background, history and modern reception will be among the topics of discussion at the Thursday night forum. The Wisconsin Chamber Orchestra will perform on Friday, March 26, at 8 p.m. in the Overture Center’s Capitol Theater under music director and conductor Andrew Sewell (below). 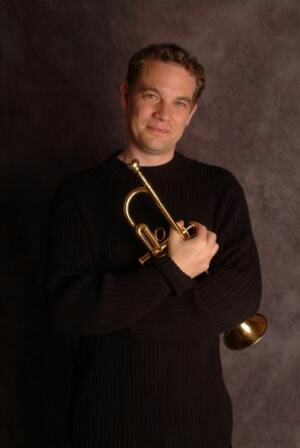 According to program notes, returning is trumpet virtuoso, Ryan Anthony (below), who wowed audiences at Concerts on the Square in 2008. 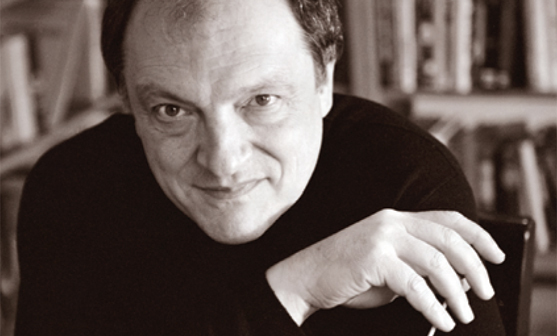 He is featured on two works in the first half, Italian baroque composer, Tomaso Albinoni’s Concerto St. Marc, followed by Haydn’s historical Trumpet Concerto. At the time of composition, it was one of the first concerti written for the newly invented “valve” trumpet and is a masterpiece. Shostakovich’s moving String Quartet No. 8, has had numerous arrangements for string orchestra, but most notably by the Russian violist and conductor, Rudolf Barshai, known as Chamber Symphony Op.110a. Shostakovich wrote the Eighth Quartet over three days in 1953 while visiting Dresden, on assignment to write music for a documentary film about the bombing of that city during World War II. At the time, he was so overcome and depressed, speculation exists that he may have been considering suicide. Was he writing about his dismay at the destruction of War, or was he writing a subliminal suicide note? Borrowing themes from his earlier Symphony Nos. 1 and 5, and the Cello Concerto No.1, it is both a powerful and personal testimony of one man’s search for the meaning of life. Tickets are $19-$62. Call the Overture Center box office at 608 258-4141. In addition to performances of Richard Wagner “The Flying Dutchman,” (set for Act 1 is below top) the Madison Opera is offerings audiences the chance to enhance their operatic experience with “Opera Up Close: ‘The Flying Dutchman Preview’” on Sunday, March 28, from 1 to 3 p.m. at the Madison Museum of Contemporary Art Lecture Hall in the Overture Center. The presentation features behind-the-scenes previews of each of this season’s productions. With extensive multi-media presentations, engaging guest artist commentaries, historical perspectives and musical and production explorations of each opera, there’s no better way to gain access into the operatic art form. 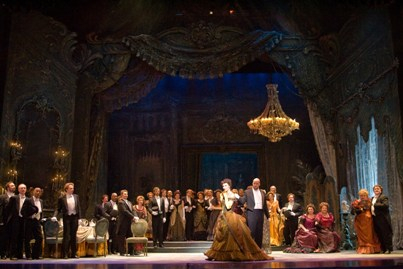 This popular series regularly attracts capacity crowds, according to the Madison Opera. 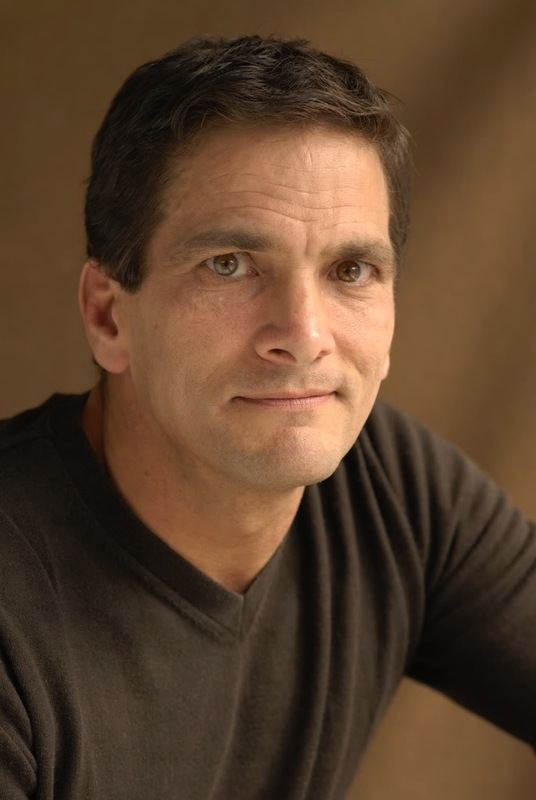 One hour prior to each performance, Madison Opera’s General Director Allan Naplan also presents a free Pre‐Opera Talk in the Wisconsin Studio at the Overture Center. 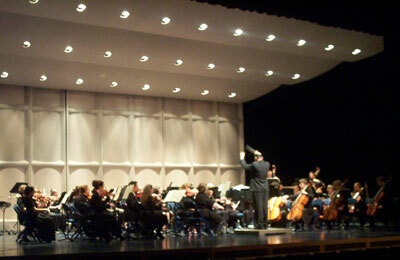 On Sunday, March 28, at 3 p.m. in the Mitby Theater of Madison Area Technical College-Truax, 3550 Anderson St., the Madison Community Orchestra – an ensemble of devoted amateurs — will perform a FREE one-hour concert under the baton of it director Blake Walter of Edgewood College. The program includes Nicolai’s “Merry Wives of Windsor” Overture; Tchaikovsky’s “Marche Slav”; Saint-Saens’ “Bacchanale” from his opera “Samson and Delilah”; and Dvorak’s Slavonic Dance, Op 46, No. 8. Free concert reservations can be made by contacting the Mitby Theater box office at (608) 243-4000. The box office is open Mondays, Wednesdays, and Fridays from noon until 4 p.m. In addition to taking your reservation, the box office staff will answer any questions you may have about the performance. Classical music controversy: Is J.S. Bach’s “St. John Passion” anti-Semitic? Part 1 of a 2-part look. But is J.S. Bach’s oratorio “The St. John Passion” anti-Semitic? 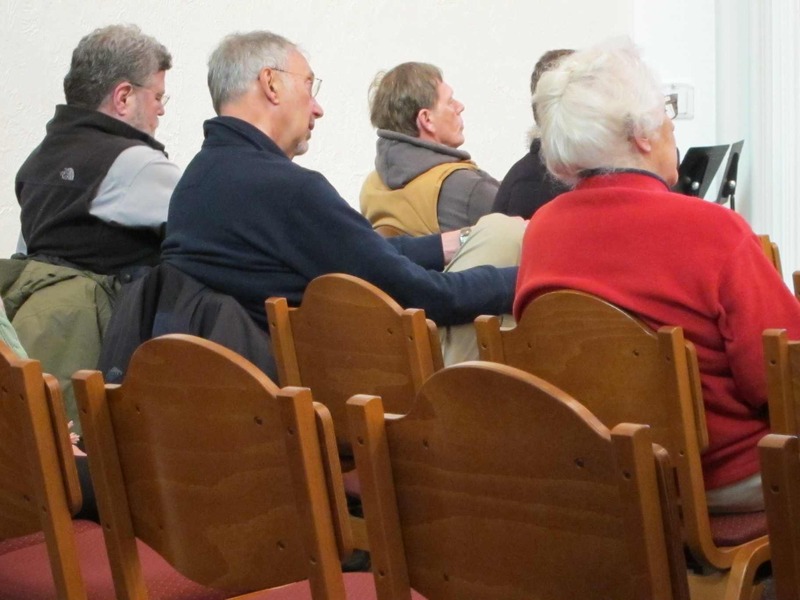 That ever hot and controversial question — especially during the season of Passover and Easter — will be discussed Thursday night at 8 p.m. during a FREE PUBLIC forum at the First Unitarian Society, 900 University Bay Drive. The forum is being held in conjunction with an April 2 Good Friday performance (at 8 p.m. in the First Unitarian Society) of the Bach work. Performers include distinguished soloists, the Wisconsin Chamber Choir and period instrumentalists under the direction of Robert Gehrenbeck. I recently asked Gehrenbeck to discuss the subject of Bach’s anti-Semitism. He did so in an e-mail interview that I will post in two parts today and Thursday. (Wednesday will be, as is customary, Best Bets day). Q: Is Bach’s “St. John Passion” anti-Semitic? A: This is one of the main questions we will discuss, if not answer definitively, at our forum. The answer is complex, influenced by the work’s background and reception history, and somewhat dependent upon the perspective of the person who is asking the question. The way I see it, there are at least four layers to this issue: (1) Are Bach’s libretto and music inherently anti-Semitic? (2) Is the Gospel of John an anti-Semitic text? (3) Have performers and listeners in later years seen the St John Passion as anti-Semitic? (4) What are we to make of all this today? Regarding (1), musicologist Richard Taruskin would say yes, Bach’s work is inherently anti-Semitic, whereas Michael Marissen (author of the book Lutheranism, Anti-Judaism and Bach’s St. John Passion) argues that Bach softens the anti-Jewish tone of the sources he used for his libretto, including the Gospel text itself. Which leads us to (2): can we shift blame away from Bach, as it were, by holding the Gospel of John to be inherently anti-Jewish? The traditional view is yes, but more recently some Biblical scholars have argued that John’s Gospel represents not a struggle between Jews and Christians, but rather a conflict within first century Judaism itself, in which both the author of the Gospel and Jesus himself are clearly Jewish. But, Bach, of course, had no knowledge of such scholarship. So perhaps more to the point is (3): how have Bach’s subsequent performers and listeners experienced Bach’s music and libretto? I know of at least one rabidly anti-Semitic reference to the work by a German musicologist from the 1930s, but overall the Nazi’s didn’t seem to be very interested in Bach’s church music. Closer to home, the controversy surrounding the St. John Passion in the US was sparked during the 1980s at the Boston Early Music Festival when the first violinist for a performance of the work there initially refused to play due to the anti-Jewish tone of the libretto. He later agreed to participate, after gaining permission to write a program note explaining his position. This educational component has characterized many subsequent performances of the piece — including the Wisconsin Chamber Choir’s forthcoming performance). Michael Marissen’s aforementioned book was born out of a controversy at Swarthmore College, where a group of Jewish students at refused to participate in a performance of Bach’s St. John Passion during the same semester that Marissen was teaching a seminar on Bach and Lutheran theology there. So, regarding (4), what are we to make of these issues today, the best “answer” is: come to our forum and see where the discussion goes between interested parties here in Madison. Was Bach himself, a devout Lutheran who wrote so much religious music, anti-Semitic? Again, the answer is complex. Judging from the St. John Passion itself, we might say, “things could have been worse.” One of Bach’s source texts, a passion libretto by Bartold Heinrich Brockes, contains several virulently anti-Jewish passages that were commonly set by other composers, such as Handel and Telemann. Bach, however, either altered these passages to remove the references to Jews, or avoided setting them entirely. It seems that Bach and the religious authorities for whom he worked in Leipzig were not that interested in the anti-Semetic potential of the passion story. Instead, Bach’s libretto for the St. John Passion underscores the idea that Christian believers, because of their sins, bear personal responsibility for Jesus’ suffering and death. That is, Bach’s words and music are focused more on Christian repentance than on hostility toward Jews. But when we look beyond the St. John Passion itself, Bach seems to be more typical of his age. In particular, his Cantata for the tenth Sunday after Trinity, Schauet doch und sehet, ob irgendein Schmerz sei (Look and See If There Is Any Sorrow Like My Sorrow; Cantata 46), includes negative references toward contemporary Jews, unlike the St. John Passion itself. 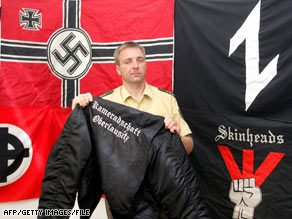 The readings prescribed for this particular Sunday in Leipzig did have a notably hostile tone towards Jews. So, somewhat surprisingly, it seems that Bach and his Leipzig colleagues tended to express their anti-Jewish views on other occasions rather than during Holy Week. What part does the mainstream culture or religion of Bach’s time play in the work’s anti-Semitism? 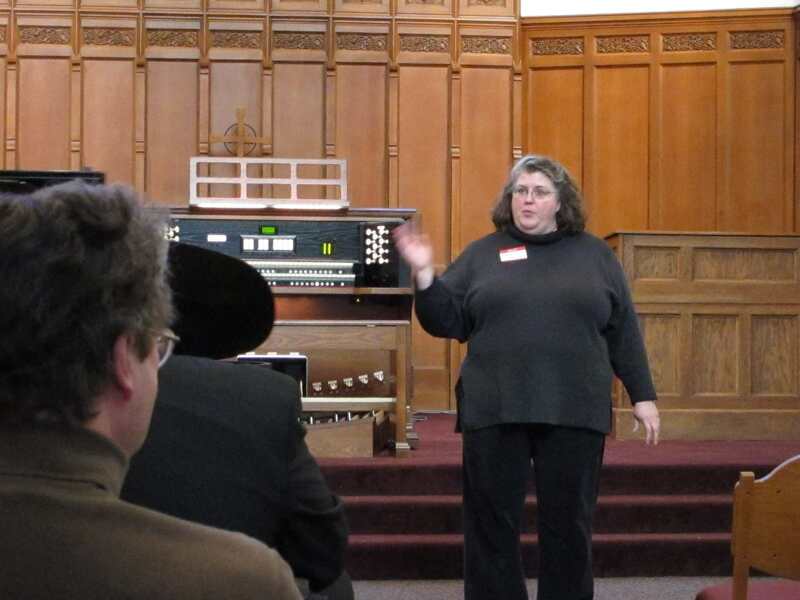 One of our forum participants, Dr. Jeanne Swack, recently made me aware of the following: The most extreme example of hostility toward Jews in the Lutheran liturgy of Bach’s time is the Sunday that was known as Judica in the Lutheran calendar, which occurred two weeks before Easter. To get an impression of the tone of the readings assigned to this day, read the eighth chapter of John’s Gospel, which was the centerpiece of Judica Sunday. But Bach never wrote any music for this occasion because music for voices with instruments was prohibited during this time of year (Lent) in Leipzig. So anti-Semitism was definitely alive and well in Bach’s milieu. 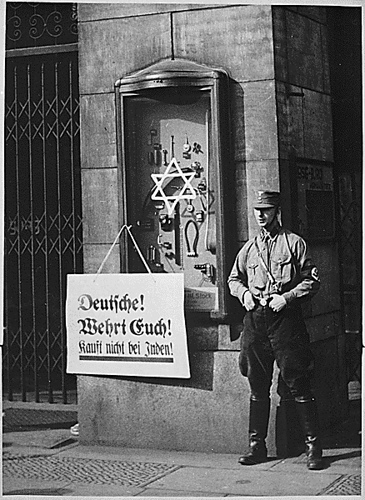 Most German churches, including St. Thomas in Leipzig, had paintings or windows depicting Jews in a negative light. Finally, during Bach’s lifetime, Jews were banned from Saxony altogether, so it’s unlikely that Bach knew any Jews personally. If Bach had composed a cantata for Judica Sunday, than certainly that work would be the focus of scholars attempting to divine his personal views, more so than the St. John Passion. Thursday: How does the work express anti-Semitism and why does it matter after 300 years? 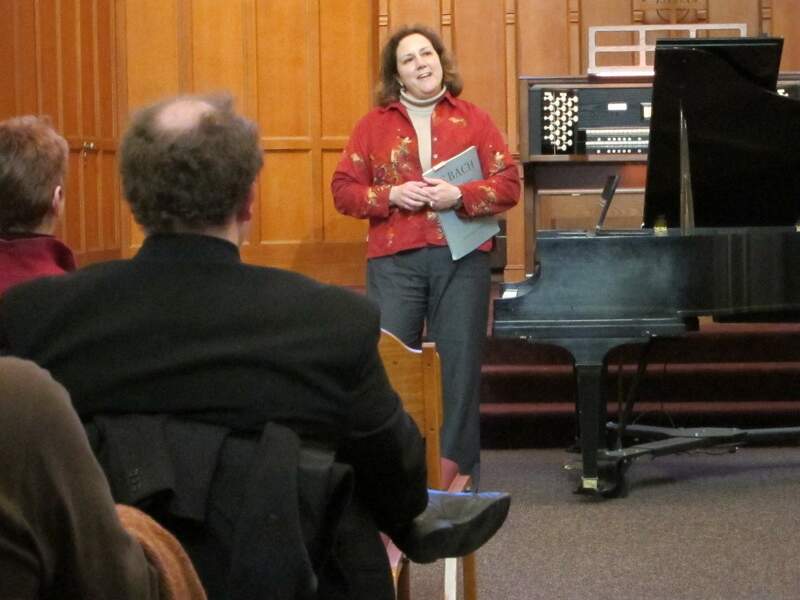 Just over a week ago, the University of Wisconsin School of Music celebrated the 200th birthday (which occurred on March 1) of Frederic Chopin, who lived from 1810 to 1849. 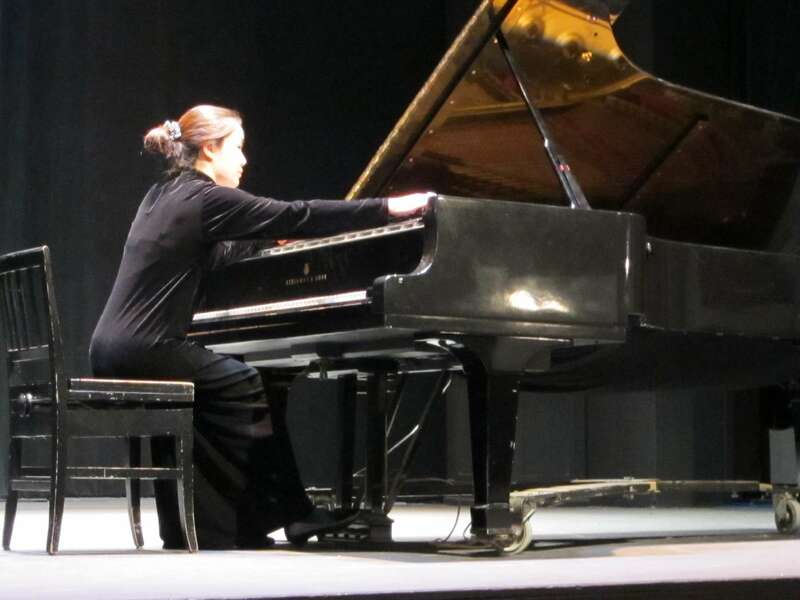 Two Saturdays ago, about three dozen UW piano students – both undergraduate and graduate students – performed all 52 mazurkas in Music Hall to maybe a one-third house of 150 or so listeners. It was an unusual and unique event, but a delightful, charming and instructive event from the beginning first mazurka (Op. 6, No.1, above) until the end when Amanda Horn (below) wound up the 2-1/2 hour event with the last mazurka — Op. 68, No. 4 in F minor — which was also happened to be the last solo piano piece Chopin composed. At times, the concert was amusing. It almost seemed like assembly-line art — by necessity, given how many mazurkas had to be performed in a relatively short time. 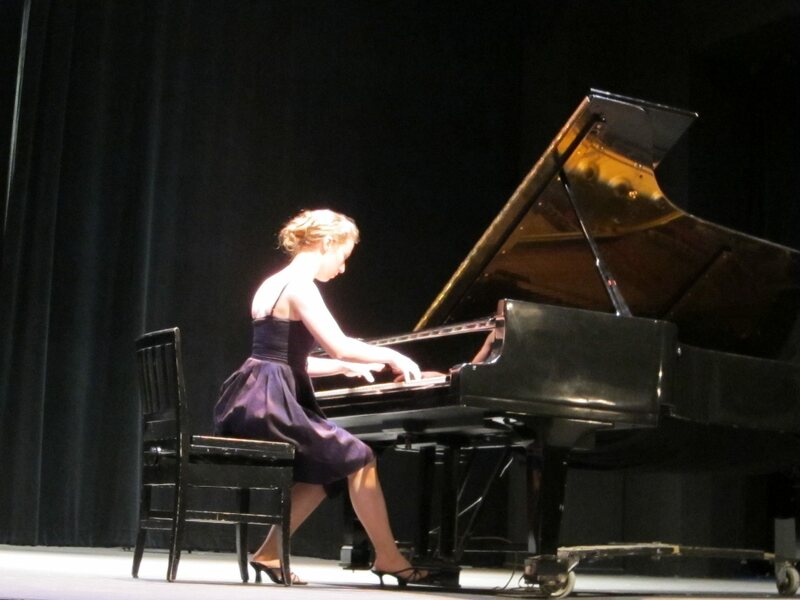 No sooner did one young pianist finish up and stand to bow and then walk off the stage, then out came another to continue the cycle with next mazurka. 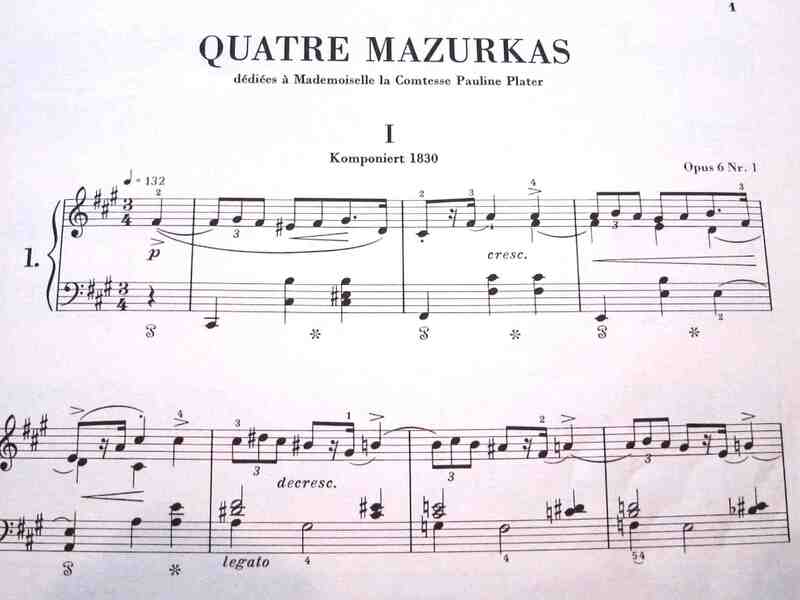 Yes, there were many mazurkas – but not, for my taste, too many mazurkas. Never too many mazurkas. 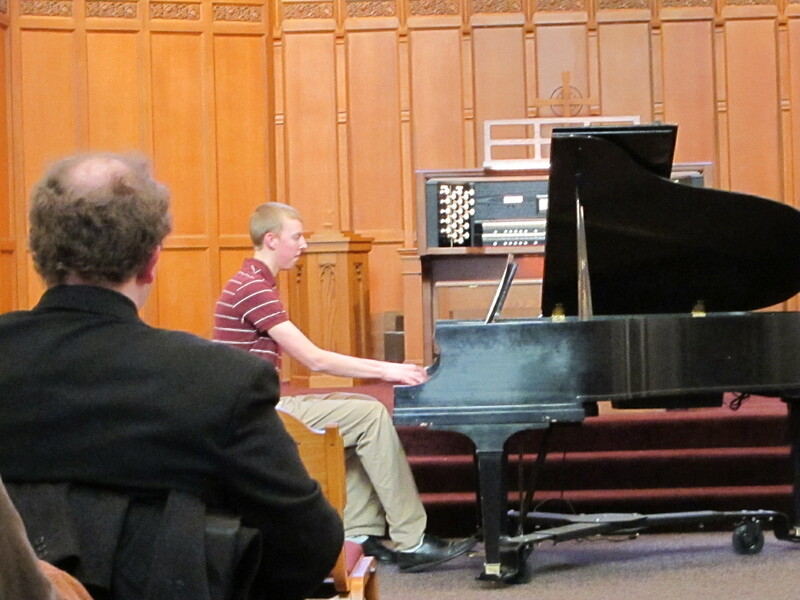 Some students played with more musicality, some with more confidence. But all the students played with mastery, and all played from memory and with presence and sensitivity. It was an impressive display of collective action and group talent. And I like the idea that the burden of performing didn’t fall completely on one person, which should make it less intimidating to do than a full-length degree recital. In fact, I think there should be more such events, such collaborative recitals, where students — or even faculty — play as a group. It gives taxpayers and music fans an inside look at the department. And the look is an impressive one. A lot of talent walked across that stage, as I tried to capture with some low-light non-flash photos. (I don’t even have names for most of them.) And they all gave us a good example of the Wisconsin Idea — that the state supports the university and, in turn, the university supports the state — in action. 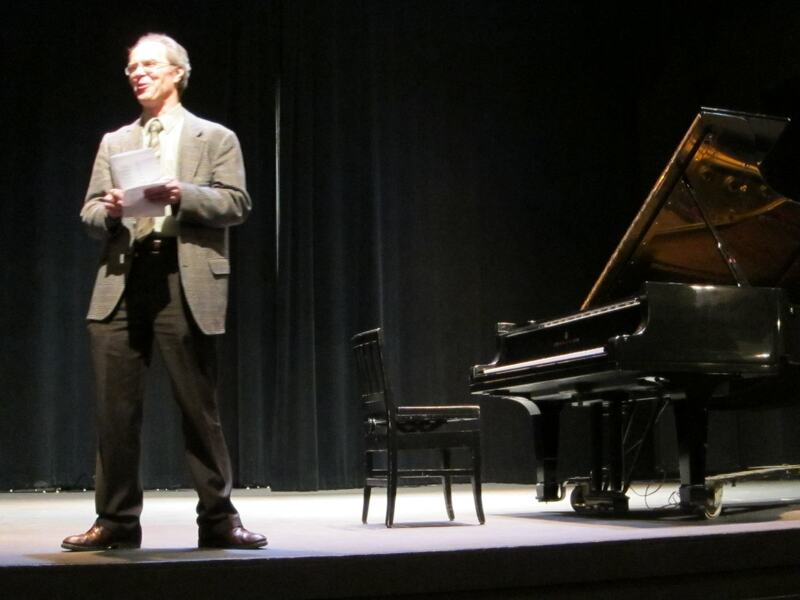 Piano department chair Todd Welbourne introduced the event (below) and compared the mazurkas to Chopin’s mazurkas to a 19th-century form of Skype as way of connecting to his Polish homeland from which he was exiled for all his adult life and entire career. Welbourne set just the right tone. There was nothing to prove, everything to enjoy, including some tasty mid-concert snacks — fruit punch and dips with pita bread and sweets. And those of us who attended the event got to hear some wonderful and memorable pieces of music that don’t often get programmed in public recitals, since they are more suited to the living room than the concert hall. 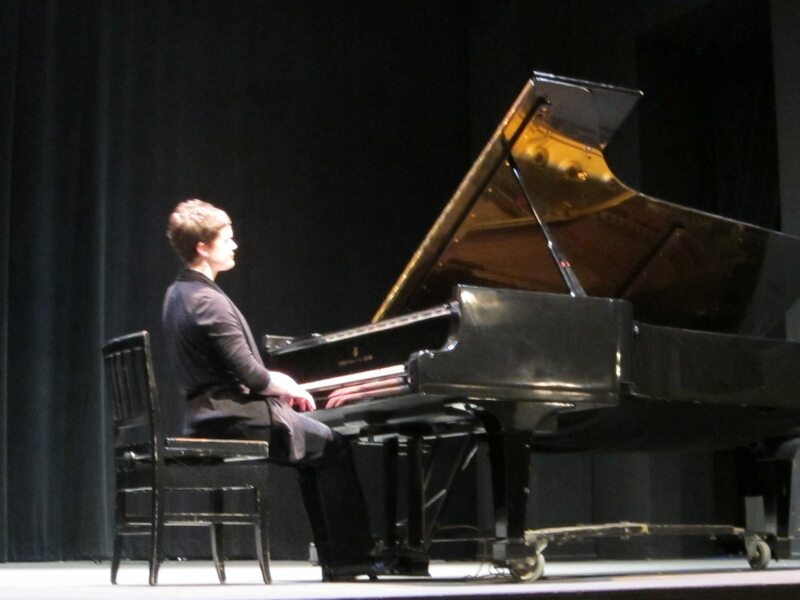 Did the UW pianos students feel appreciated by the audience? Did they have any fun doing the Mazurka-thon? What did they learn from doing the complete mazurkas? 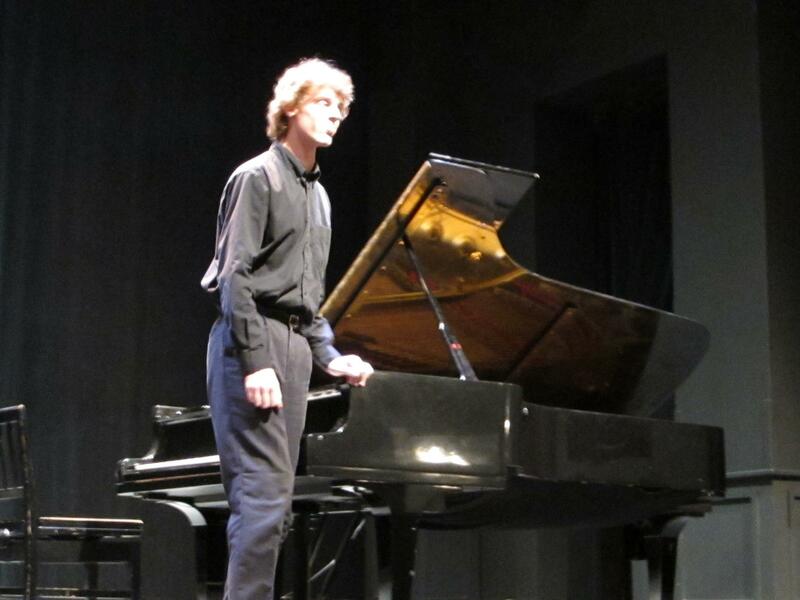 Should the UW School of Music and the support group Piano Partners schedule similar events? What music would you think lends itself to such a collective recital format? Chopin’s waltzes, nocturnes and preludes? Bach’s Well-Tempered Clavier or Two-Part Inventions and Three-Part Sinfonias? Scarlatti’s sonatas?